We run craft holidays, weekend craft courses and relaxation retreats in the heart of the Highlands of Scotland. Our craft holidays focus on learning a whole process -from Fleece to Felt or Dye to Spin.. these residential craft weeks can include, learning about fleece, collecting and making natural dyes, felt making and spinning. 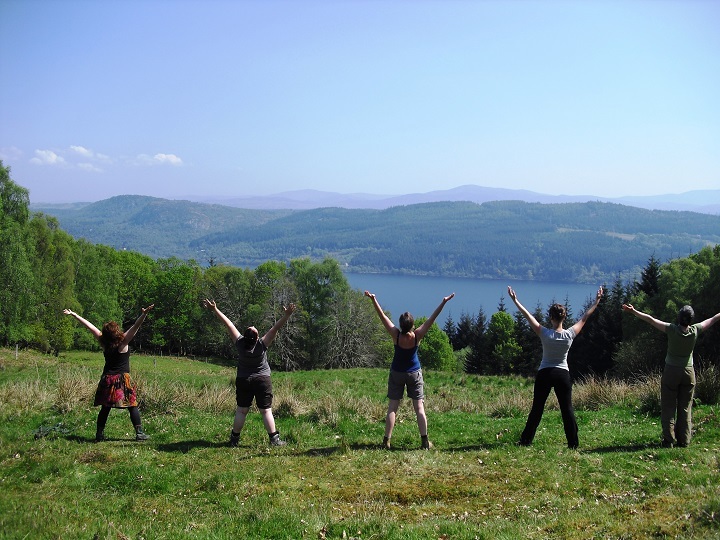 Our relaxation retreats combine a little bit of everything with love, elements which help us to unwind and relax -craft, gentle exercise, stunning Highland scenery and good healthy food. 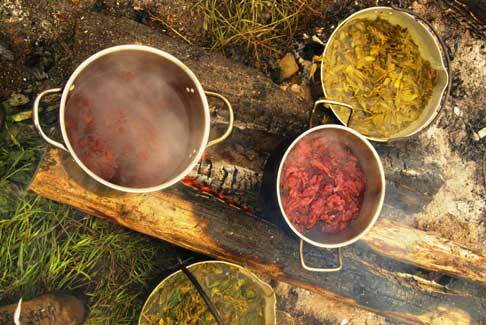 Our weekend craft courses can focus on Natural Dyeing, Eco-printing, Felting, Batik or Shibori. Our pre-arranged residential craft holidays and retreats have no more than six places available and we can organise bespoke short breaks for groups of 5 or more and longer holidays for groups of 6-10 people. Learn natural dyeing, eco-printing, felting, batik or shibori on one of our 2 day, weekend craft courses. Join us for a residential craft holiday in the Highlands, spend a week learning traditional techniques including natural dyeing, felting or spinning. craft, walking and morning yoga. We live in a stunning part of the Highlands of Scotland, and run many of our craft courses from our woodland in Strathglass, with views out to Glen Affric and only 10 miles from Loch Ness. 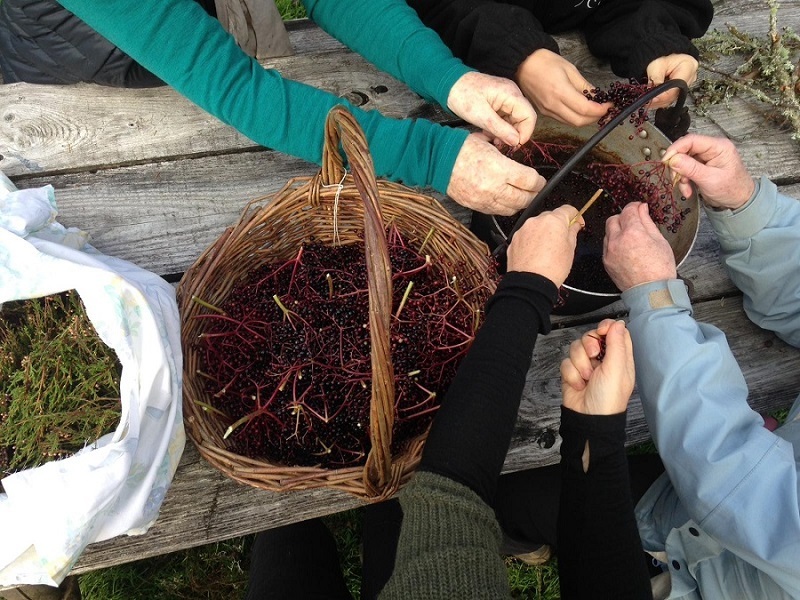 There is often an outdoor focus on our craft courses including, foraging for dye plants, felting outdoors, eco-printing over an outdoor fire and lunch outside whenever we can! hWe look after out guests try to ensure that that you also go away having had a real taste of Highland life, including its natural and social history, the interesting people who live here and the relaxing pace of life. Our aim is for you to take a little piece of the Highlands home with you, be it a felted wall-hanging, your own spun yarn, naturally dyed fleece, memories of stunning landscapes, borrowed recipes, dirty boots or just the peace and tranquillity of one of Europe’s last great wildernesses. We have a wide range of local accommodation that we can arrange according to your tastes and requirements, be it camping, bed and breakfast or self-catered chalets, static caravan holiday homes, cottages or highland lodges.